Haus of Gloi's Reverie opening heralded in the herbal, minty and floral verdure of spring and the resurrection of Bathing Dust had me setting my alarm to capture these beauties. Fir Needle, Cedar and Tea Tree Bathing Dust maintains a bit of the earthy coolness as well, but the cedar lends its signature wood and shavings to the mix. This is a bath a wood nymph would melt bonelessly into, steam and aroma lifting her magically into another realm. The cedar and tea tree compliment each other gracefully with just a wraith of dead pine needles haunting about. This jar is good for 4-5 uses according to the jar, so I tried to use a fifth of it in my hot bath while the water was running. The scent was diaphanous but present above the churning waters. It relaxed both my mind and body while I read (a most interesting account of cholera in London in the mid-1800's titled The Ghost Map). I wonderful bathing ritual was had with this as my muse. 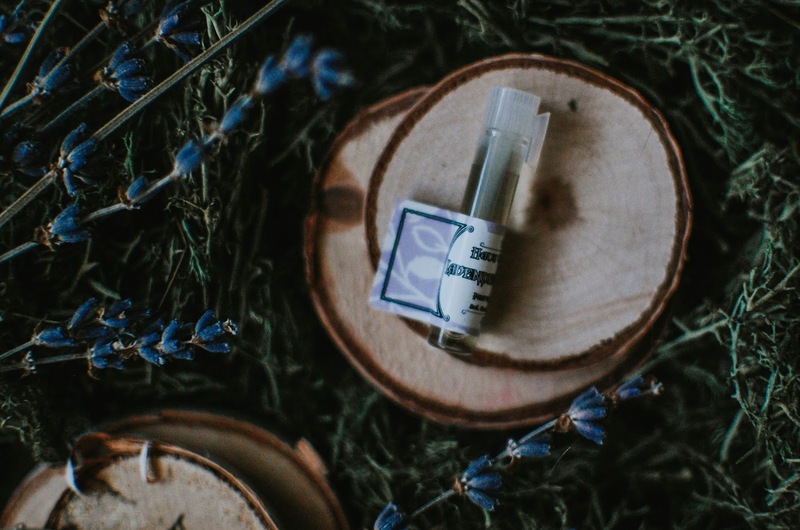 Tonic #5 Butter Bomb holds sweetgrass, aquatic notes, lavender, tea tree and rosemary, $3. 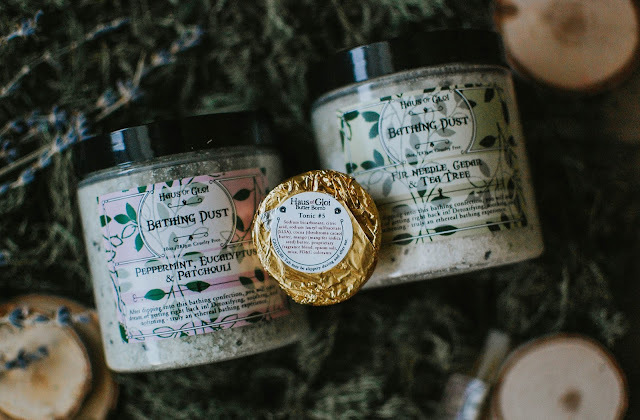 I quite enjoy Haus of Gloi Butter Bombs, this one little dollop of bedewing ingredients will infuse a whole tub of water into a fragrant and moisturizing experience. The scent is an herbal aquatic with salty sea air and lavender being the two most noticeable notes from the elfin bomb. 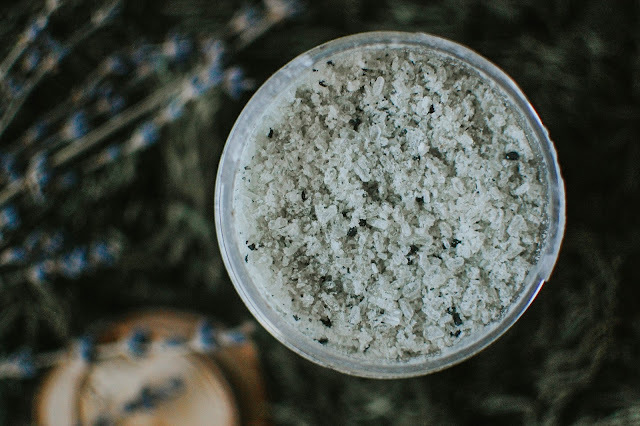 Lavender Elixir blends lavender, sandalwood, white tea and neroli blossoms. In the bottle this smells incredible. The sandalwood and white tea are crisp and slightly musky, very much like a healing tonic with metallic lavender lurking underneath. 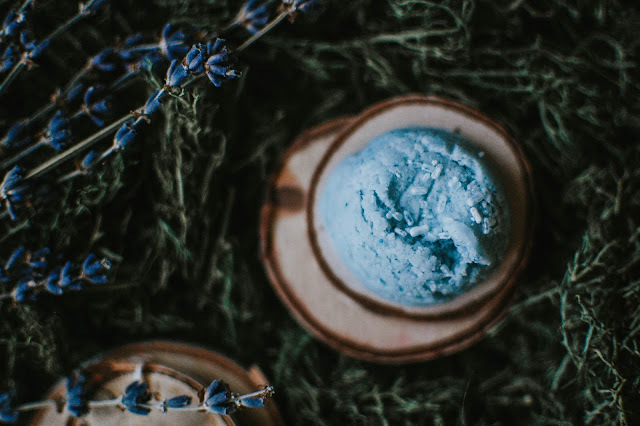 On the skin the lightly sweet robustness of the tea fades to the background and a more fresh breeze blows in, carrying airy lavender buds and softly bitter but green and purifying neroli blossoms. It does take a turn for ultra clean at this point. For the drydown, blonde sandalwood comes back to linger with the dregs of the white tea leaves. It is certainly an herbal, fresh and clean leaning fragrance (which tends to be out of my preferred genre) but I think it is growing on me. My skin and nose seems to like it. 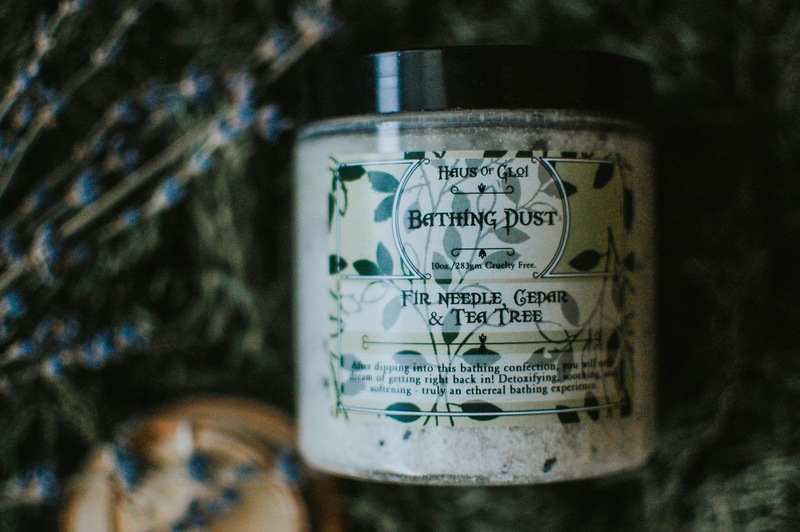 What items are you using for your bathing ritual? Did you participate in any Haus of Gloi shenanigans recently? 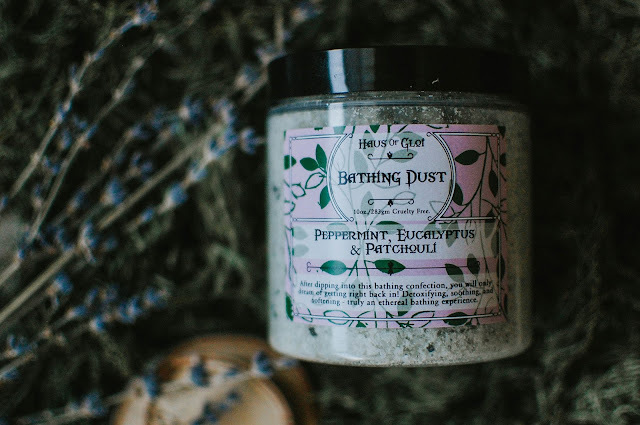 I kind of wished I had picked up a second jar of the Peppermint, Eucalyptus and Patchouli Bath Dust but alas, it is out. The other one and a couple more are still there though. Ooh, your enabling skills are finely tuned my friend. 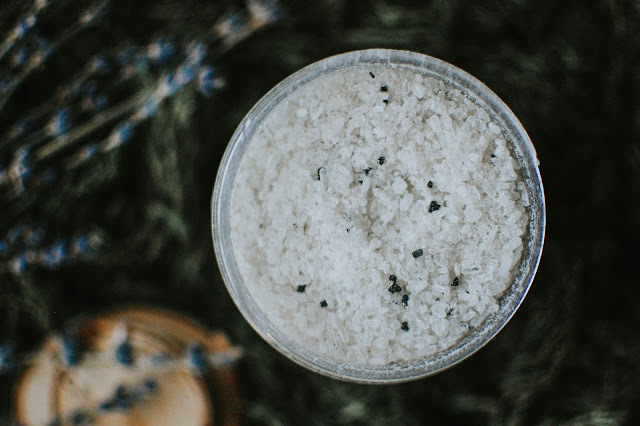 I am still using up a jar of the Plantlife peppermint salts so I feel slightly consoled about missing out on the PE&P bathing dust. Once my first paycheck arrives maybe I will get a jar of the grapefruit ones since Angela's grapefruity Blood Bathory salt production is on hiatus. LOL! You KNOW I could not resist the Bath Dust. I am always keen to put new potions in my bath tub. I do need to get more of that Plantlife peppermint. I seriously miss it. I am interested in the other flavors but I need to wait and see how booking the NYC hotel plays out. I really need to try and save a little more here and there for the trip. We will be there Nov 10-13 if you want to meet up for coffee/dessert/anything. :-) I will post our itinerary in a few months. I am binge catching up on your posts! This brand looks great too! And your pictures are always so great. This is a bath a wood nymph would melt bonelessly into, steam and aroma lifting her magically into another realm. Yes! I can totally see how that would speak to your magical soul. I really do feel like a wood nymph in the bath with this. All the woods bloom from the warm water incredibly.